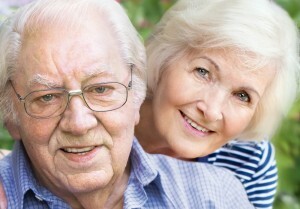 Dementia is a general term for the loss of memory and intellectual abilities. Alzheimer’s disease is the 6th leading cause of death in the U.S., and the most common form of age-related dementia, contributing to 70% of the almost 50 million cases worldwide. Alzheimer’s and other forms of dementia are expected to dramatically increase as the population ages, with some estimates predicting 150 million cases by 2050. While there is currently no cure for dementia, a large body of research suggests that modifiable risk factors may hold the most promise for prevention of the progressive decline in mental function due to generalized brain deterioration. No strategies are guaranteed to protect long term brain health. However, researchers have reviewed a large body of evidence, and have identified nine controllable risk factors, through various stages of life, that affect the likelihood of developing dementia. The study, recently published in The Lancet, brought together 24 international experts to review existing dementia research and determine strategies for prevention and intervention. As well, they looked for ways to improve care for those already living with the disease. While the focus has been on developing medicines for prevention and treatment, non-pharmaceutical preventative approaches that strengthen brain networks early in life may help reduce dementia cases by one-third. 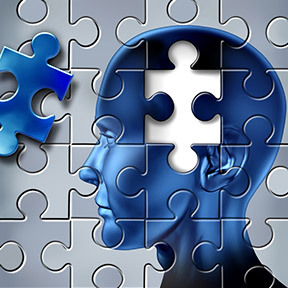 Alzheimer’s causes a gradual decline in memory, thinking, and reasoning skills. There’s no question that many more trials and ongoing research into developing treatments is necessary, yet the researchers considered the scientific evidence strong enough to suggest that preventing dementia and age-related cognitive decline might be possible. Of course, there are no guarantees, and prevention needs to start before there are signs of decline, preferably before middle age. Hypertension management. Controlled blood pressure levels aid in preserving brain blood vessel health. This is considered most effective when initiated early on in life, but management of blood pressure is advised at every age. Increased physical activity. 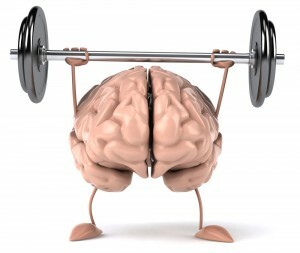 Aerobic exercise is associated with a reduced risk of cognitive impairment and dementia. Vascular risk factors are well known to be reduced by aerobic exercise. Evidence suggests that physical activity may slow the progression of neurodegenerative processes and age-related loss of synapses in the brain. Cognitive training. Mental stimulation that challenges the brain helps to strengthen the brain’s networks. Getting a good education in early life, and continuing at least through high school, may have a direct effect on the wiring of the brain. Challenging the brain may increase “cognitive reserve” built through a lifetime of continued learning and curiosity. Research has shown that those with greater cognitive reserve are better able to fend off degenerative brain changes. Lose weight if needed. Being overweight or obese at midlife independently increases the risk of dementia, Alzheimer’s, and vascular dementia in later life. Prevent or control diabetes. Studies suggest that people with type 2 diabetes are at a higher risk of developing Alzheimer’s and vascular dementia. Taking steps to manage diabetes may help to avoid potential cognitive decline. Avoid or address hearing loss. It remains unclear whether hearing loss is the result of changes linked to dementia or whether hearing loss itself contributes to cognitive decline. Research suggests that those who experience hearing loss may be at greater risk of cognitive problems later in life than those without auditory problems. Manage depression. Depression has been proposed as both a risk factor for and an early symptom of dementia. Approximately half of those with late-onset depression have cognitive impairment. Remain socially active. Studies show that social interaction is key to mental health, and that those with larger social networks are 25 percent less likely to develop dementia than those with smaller networks. Quit smoking. Smoking is damaging to cardiovascular and overall health and may lead to cognitive decline. Studies show that smokers have a 40 percent increased risk of Alzheimer’s and vascular dementia. Smoking causes oxidative stress, which appears to promote the formation of the amyloid plaques and neurofibrillary tangles in the brain that are closely associated with Alzheimer’s disease. Acetyl L-Carnitine 500 mg by Douglas Laboratories®: This naturally occurring metabolite helps to maintain cellular membrane stability and restore age-related membranal changes, supporting brain and nervous system functions. As an antioxidant, it scavenges harmful superoxide radicals. Gluten, yeast, wheat, soy, dairy, corn, sodium, sugar, starch, and artificial ingredient free. Ubiquinol QH 100 mg by Pure Encapsulations®: This product supplies Kaneka QH™ CoQ10 in its active, readily-absorbable antioxidant form; and supports cellular energy production, antioxidant protection, cardiovascular health and physical activity. Gluten free, Non-GMO formulation. Phosphatidylserine Soy Free by Integrative Therapeutics®: Found primarily in the cell membranes of neurons, and in high concentrations in the brain and nervous system tissues, phosphatidylserine supports cognitive function and mental clarity. Gluten, yeast, wheat, soy, dairy, corn, sodium, sugar, starch, and artificial ingredient free. AntiOxidant Formula by Pure Encapsulations®: This synergistic, broad spectrum antioxidant formulation is designed to promote cellular health and support the body’s natural free radical defense system. Gluten and soy free, Non-GMO. Longevity Nutrients by Pure Encapsulations®: This hypoallergenic, nutrient-rich, highly bioavailable multivitamin, multi-mineral, and trace element supplement is designed for men and women over age 60 in support of healthy aging and optimal health. Gluten free, Non-GMO vegetarian formulation. Vitamin D3 5000 by Neurobiologix: Essential for good health in aging adults, vitamin D deficiency is associated with osteoporosis and cardiovascular disease, and may also impact the development of diabetes, hypertension, dementia and Alzheimer’s. Wheat, gluten, soy, corn protein, yeast, dairy, and artificial ingredient free. If you needed one more good reason to cut back on sugar in your diet, here it is. A study published in the New England Journal of Medicine shows that above normal blood sugar levels increase the risk factor for developing dementia even among those who do not have diabetes. Researchers tracked the blood glucose levels of 2,067 members of Group Health, a nonprofit HMO, for seven years. Some of the patients had type 2 diabetes when the study began, but most did not. None had dementia. Over the course of the study, about 25% of the participants developed dementia of some kind, primarily Alzheimer’s disease or vascular dementia. “We found a steadily increasing risk associated with ever-higher blood glucose levels, even in people who didn’t have diabetes,” Dr. Crane said. Of particular interest: “There’s no threshold, no place where the risk doesn’t go up any further or down any further.” The association with dementia kept climbing with higher blood sugar levels and, at the other end of the spectrum, continued to decrease with lower levels. This held true even with glucose levels considered relatively normal. The normal range for blood glucose levels measured after an 8 hour fast is between 70 – 99 mg/dl. The study showed that for people without diabetes whose average blood glucose level was 115 mg/dl the risk of developing dementia was 18% higher as compared to those with an average glucose level of 100 mg/dl. For people with diabetes, whose blood sugar levels are generally higher, dementia risk was 40% higher for those with an average reading of 190 mg/dl compared to those with an average level of 160 mg/dl. This study establishes for the first time a link between dementia and elevated blood sugars in the non-diabetic range. Researchers concluded that any incremental increase in blood sugar levels is associated with a higher risk for developing dementia and that the brain is a target organ for damage by high blood sugar. The study stopped short of proving that high blood sugar “causes” dementia, only that there is an association between the two. That being said, it is still worth keeping your blood sugar within normal levels to try to avoid developing type 2 diabetes and a variety of health problems including heart, eye, kidney and nerve disease. The good news is that blood sugar levels can be lowered by exercising and, if necessary losing weight. While a healthy diet would contain a significant amount of naturally occurring sugar, such as the amount found in fruits and grains, chronic consumption of sugary drinks, candy and sweets and processed foods is wreaking havoc with our health. Cutting back on processed foods, soda, bakery goods and highly refined grains can help, as can shifting to a healthier diet with lots of vegetables, fruits and whole grains. If the recommended 150 minutes per week of moderate intensity exercise, such as brisk walking, is too daunting, even a little activity each day can make a big difference in lowering blood glucose levels. Exercise allows your muscles to used stored glucose and use insulin more effectively. Our brains need sugar every day to function. In fact, the brain is totally dependent on blood glucose for its energy supply, as glucose is virtually the only fuel the brain uses. Sugar is not the brain’s enemy, added sugar is. Research shows that diets high in added sugar reduce the production of the brain chemical called brain-derived neurotrophic factor or BDNF. Low levels of BDNF impairs memory formation and learning. Diabetics and pre-diabetics have particularly low levels of BDNF, and as the amount of BDNF decreases, sugar metabolism worsens, setting up a destructive cycle that’s difficult to reverse. Research has also linked low levels of BDNF to depression and dementia. What this study and other research strongly suggest is that we are seriously damaging ourselves with processed foods high in added sugar, and the damage begins in our brains. Chronic added sugar consumption can be seen in the same damaging light as smoking and alcoholism. It would be wise to limit sugar consumption to less than 25 grams per day, especially for people showing signs of metabolic syndrome and insulin resistance, such as those with obesity, high blood pressure and high cholesterol. Remember, what’s good for the brain is also good for the heart. Keeping blood glucose, blood pressure, and cholesterol levels in check, maintaining a healthy weight, and keeping tabs on added sugar, can keep the brain, the heart and their vessels in good working order. Good Sugar by Dr. Wilson’s Original Formulations – This is a completely natural formula containing only nutrients and botanical substances that support the healthy functioning of your body’s own processes and help to normalize blood sugar imbalances. GlucoBalance by Biotics Research – Special, targeted supplemental support for individuals with undesirable blood sugar levels who may have special dietary needs for higher amounts of important micronutrients. Wellness Essentials Healthy Balance (formerly Blood Sugar Support) by Metagenics – Formulated to target unique nutritional needs to help maintain healthy blood sugar levels already in the normal range when taken as part of a healthy diet.